Gold BCAA 2: 1: 1 300 tablets Amix is ​​a product that comes in capsules of 1000 mg with what athletes can take a number of these amino acids taking fewer pills per day. Braced Chain Amino Acid - better known by its acronym as BCAA`s - are the three essential branched amino acids that the human body can not make and must be obtained from outside through diet or a supplement like this for sale in Nutricion24. The body needs a day to 40% of this substance which is naturally provided by proteins. Gold BCAA 2: 1: 1 300 tablets Amix is ​​the sports supplement composed of branched amino acids, higher quality than is currently on the market. They used in the manufacture of its products the latest technology and the most advanced technologies to give athletes and athletes the best compounds in their daily training techniques. And it is why Nutricion24 working with this company, because he wants the best for their users. Amix is ​​the most prestigious of this type of products is now on the market. Since its start taking BCAA Gold 2: 1: 1 300 tablets Amix fatigue is reduced, disappearing during physical training sessions so the athletes can increase the time of their training sessions. And best of all, these aminioacidos of Amix help produce a higher quality muscles so you are assured bodybuilders get a remarkable physical appearance. The aminioácidos are responsible for providing the necessary bodies nitrogen from their cells. Improve protein synthesis thus producing an improvement in the absorption acting as an energy source in muscle contraction when physical training sessions are performed. 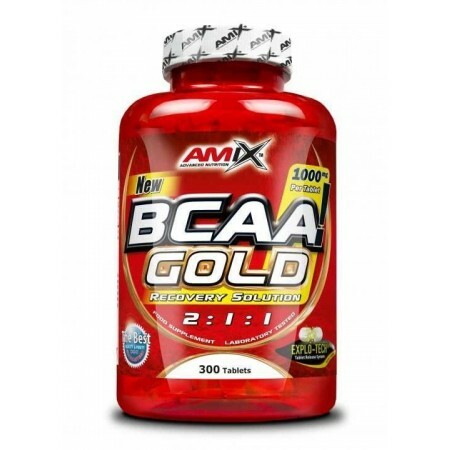 BCAA Gold 2: 1: 1 300 capsules Amix has the ideal ratio between the amino acids isoleucine, valine and leucine. Dozens of studies have established that this measure is that which provides the maximum amount of amino acid a day to have the greatest possible effectiveness daily. 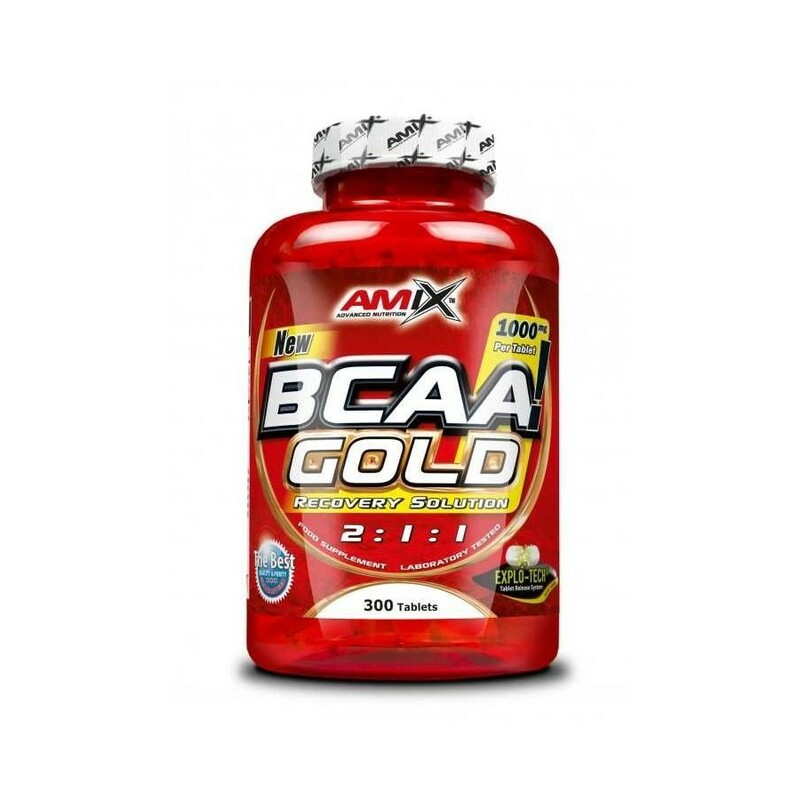 Gold as taking BCAA 2: 1: 1 300 tablets Amix: We recommend taking 3 tablets a day. To help the muscles are not degraded should take 3 capsules half an hour or an hour before workouts. To aid muscle recovery after workouts athletes must take three tablets. All it accompanied at all times of plenty of water to ensure that the body is always hydrated.